This year will be the seventh installment of the MS Blues Marathon, which has attracted runners from all 50 states and more than 15 countries. 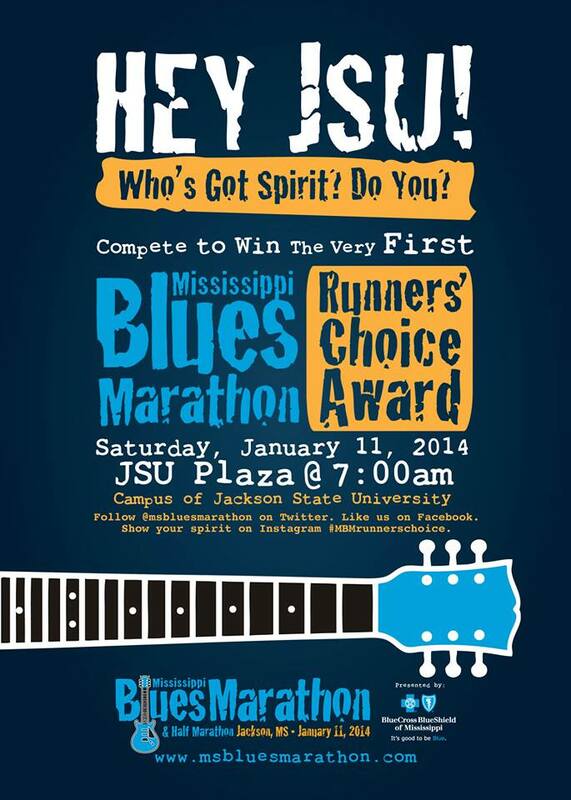 The Mississippi Blues Marathon event includes a marathon, half-marathon, marathon relay and kids’ run. The event benefits the Musician’s Benevolent Fund of the Mississippi Blues Commission and is sponsored by BlueCross BlueShield of Mississippi. 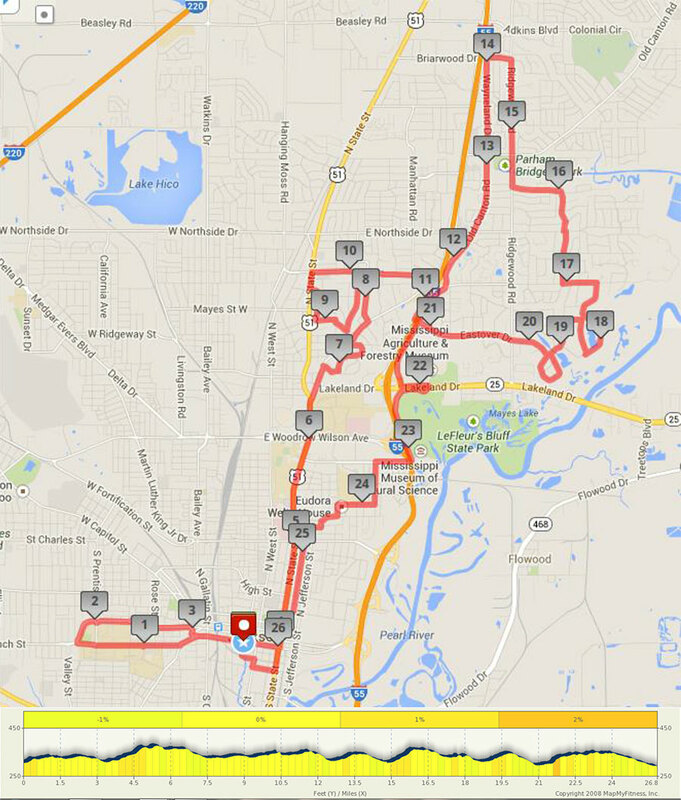 The Mississippi Blues Marathon and Mississippi Blues Half-Marathon start and finish lines are moving to a new location for 2014. For the first time, runners will convene in The Art Garden at the Mississippi Museum of Art before and after the race. And the first three check points are in West Jackson on the campus of Jackson State University. You can either participate in the marathon or you can come to these check points and cheer others on! Below is a map of the route.